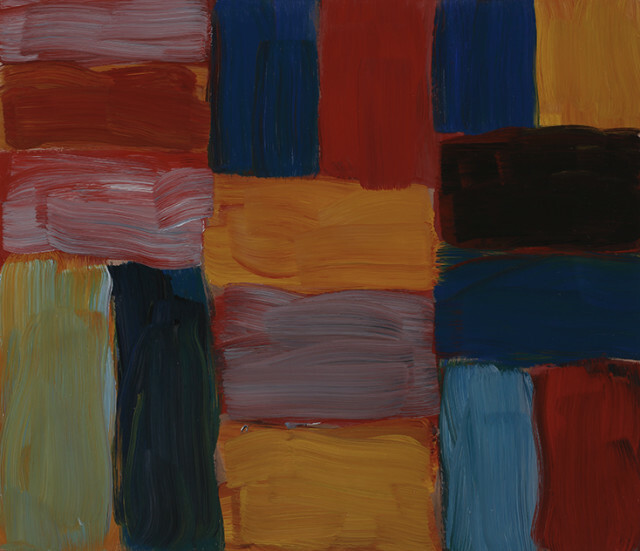 Over the last 20 years Scully has emerged as one of the giants of modern painting: the natural heir to the American Abstract Expressionists of the 1950s, and to the dense moodscapes of Mark Rothko in particular. His paintings have an intense physical presence with the marks of their making undisguised in the broad sweeps of paint. They are ostensibly simple pictures, yet they are always more commanding, more complex and more beautiful than one expects - more about nuances of colour and tone and swings of mood than about stripes and squares, although of course stripes and squares is exactly what they are. For all of their physicality they are meditative, often slightly melancholic pictures, yet charged with energy where the colours meet.